100 Prepackaged individual servings of Communion juice only (prefilled Communion without wafers), ready to serve with your choice of bread. Completely gluten free. No refrigeration needed. 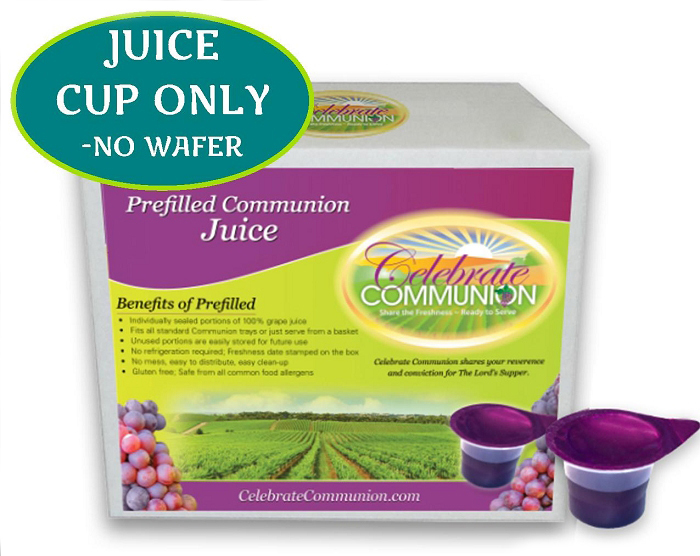 Prefilled Communion Cups without Wafers - Exclusively at Celebrate Communion! Here's the long-awaited solution for churches who want the versatility of serving their own style of Communion bread while still enjoying the benefits of prefilled juice: easy set-up and no worry of spills, contamination or waste. Serve your choice of homebaked bread, gluten free wafer, matzo, etc... with these individually sealed cups of fresh, delicious 100% natural concord grape juice. 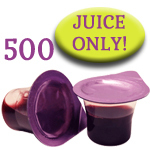 New prefilled juice cups are the perfect choice to serve with any Communion bread option. Make Communion a Safe Gluten Free Celebration! 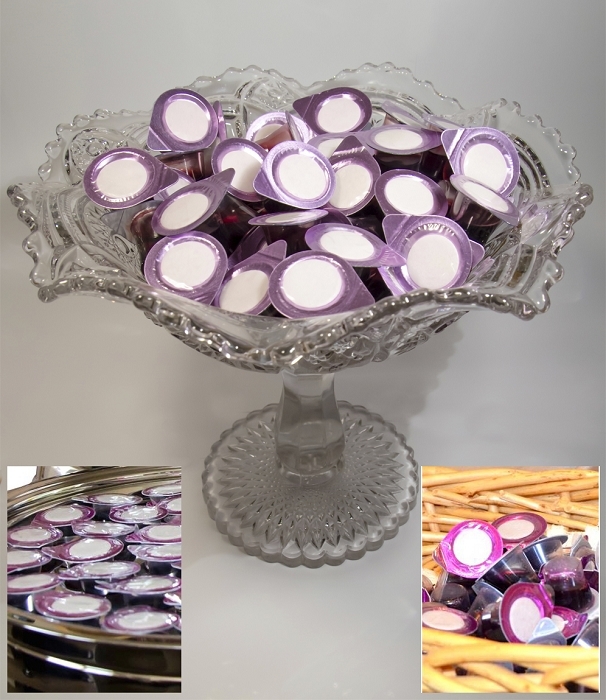 Prefilled Communion cups are the easiest, healthiest way to share the Lord's Supper, especially with your church members who are concerned about allergens or germs. 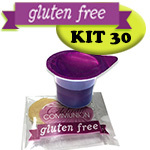 This pre filled Communion cup without wafer allows you to confidently serve a gluten free Communion. 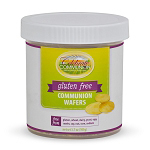 Remember to add a box of gluten free Communion wafers to your order. Individual servings of juice, sealed for your protection. 100% natural juice is made from concord grapes. This proprietary recipe is pure and simple, no added sugars or corn syrup. Disposable cups are formed from pharmaceutical grade recyclable plastic. 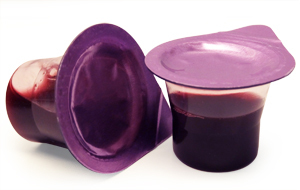 Portable Communion cups that are already filled with grape juice make it possible to easily celebrate Communion at hospital and home visitations, military installations, camp meetings, retreats, small groups or large stadiums.